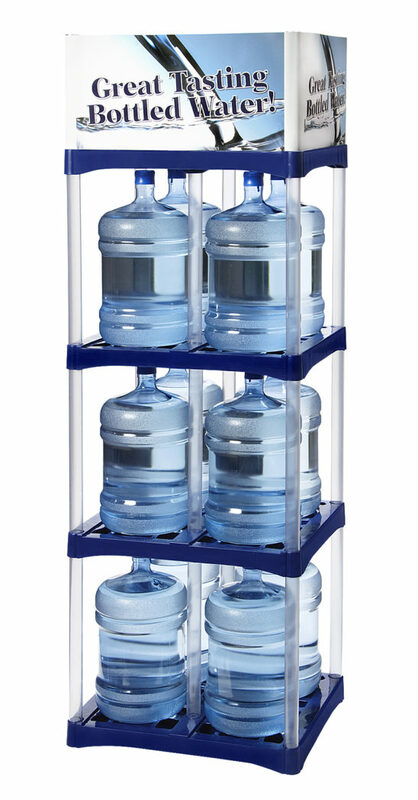 The 04-DV Bottle-Up is the perfect storage solution for your 5 gallon water bottles. 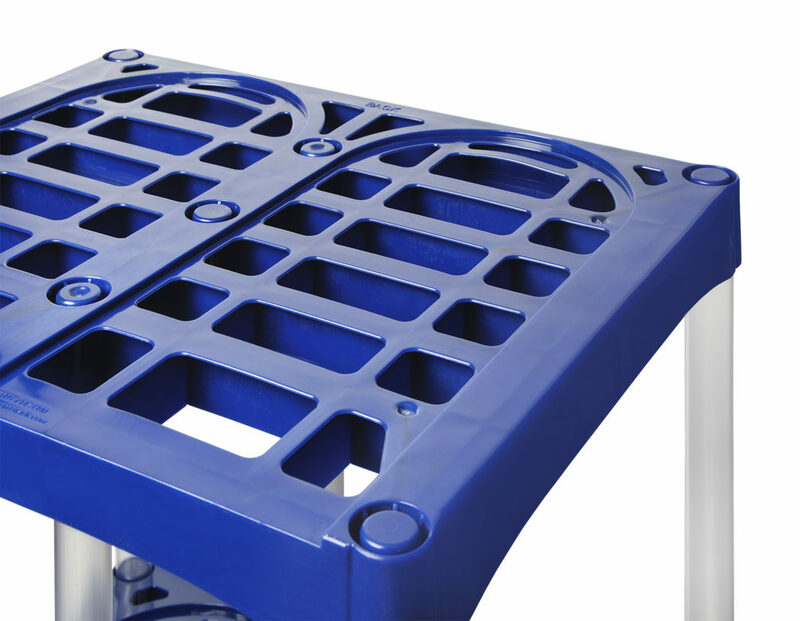 This rack is best suited for storage at home, office or as a retail rack as the design allows you to add your company header and graphics. 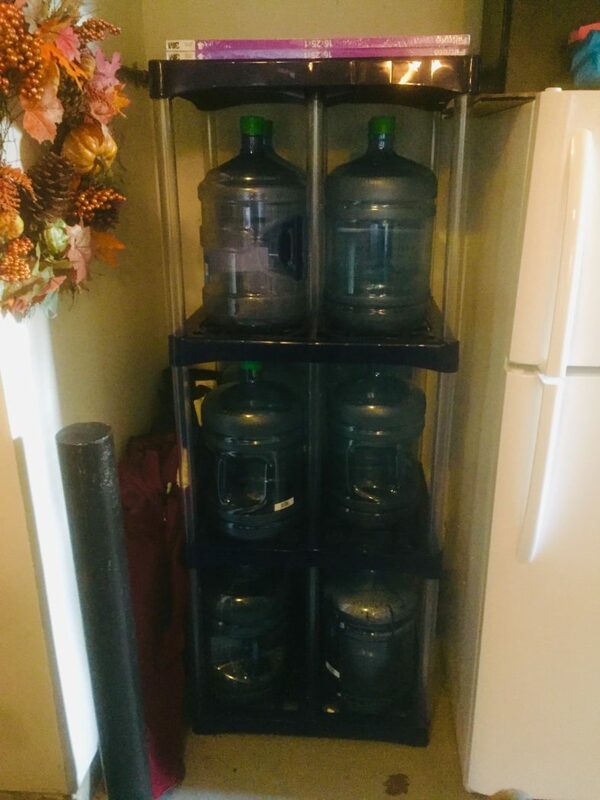 The 4 layer 04-DV water rack can store twelve, 5-gallon water bottles and has a built-in drip tray. 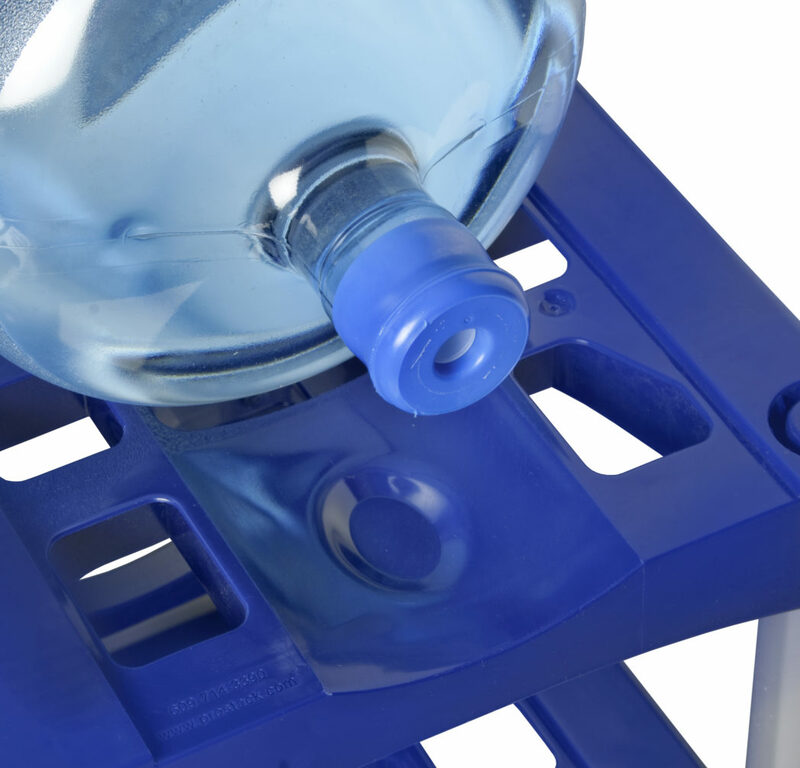 Upright storage lowers the risk of leaky caps dripping water on your floor.The 04-DV Bottle-Up is highly stable with a durable design that is built to last.